Hello everyone! SO sorry I’ve been remiss lately. The holidays were crazy over here! lol. But, it’s a new year, and I’m going to work on getting this blog up more efficiently. At least once every other week if not every week. But, though I’ve been neglectful on reviews, I’ve not been neglectful on reading, and let me tell you, I read some AMAZING stories during the break! 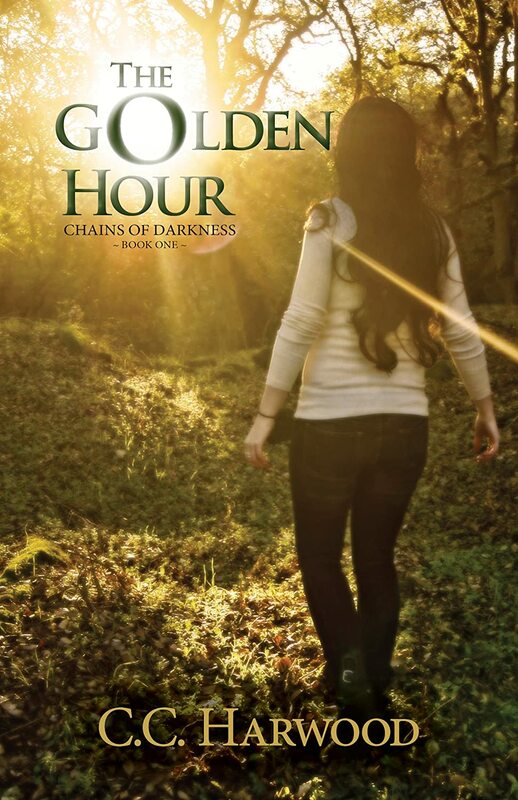 I’m really excited to share them with you, especially the one I’m sharing now: The Golden Hour by C. C. Harwood. This is a lovely debut novel by such a talent! If you like teen fantasy, supernatural stories, you’re going to love this one. This book was definitely one of the coolest supernatural fantasies I’ve read. While it plays on some popular themes, it has its own twist and flavor, making it unique and awesome. I’ve read a lot of teen fantasy, it’s one of my favorite genres, but this is definitely one of the best teen fictions I’ve ever read. I love the main character, Jada. She’s so understandable, and so relatable for many teenagers and young adults. She’s down to earth, even when her world’s thrown upside down. And then there’s Nathan, who is his own mystery wrapped in the hot new boy package. This is a great story about coming of age, and a great message about following who you are, regardless of what others believe. In full disclosure, I was given early access to the book for an honest review, but my honest review is that this is a great debut novel, and I can’t wait to read more from this talented author!